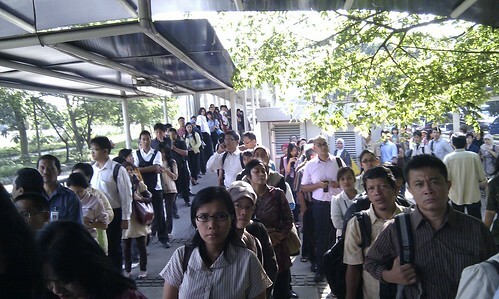 This is a picture taken at Ragunan Busway Terminal a few days ago, while I was waiting for the bus to arrive. 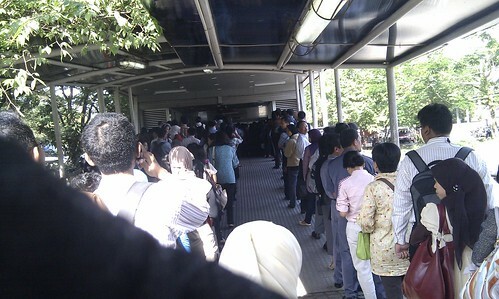 Thankfully, when they eventually showed up, several buses arrive at once, so the queue rapidly thinned. Which went to show: they really need to get more of those people-haulers. 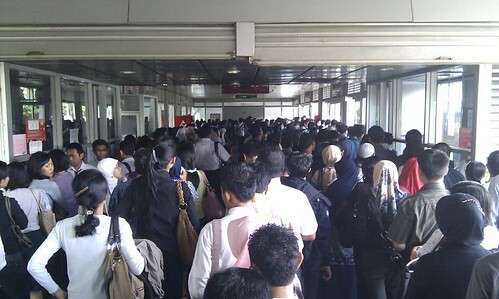 If more people chose to take the Transjakarta, maybe the total jam predicted to happen in 2014 could be averted.